The video, fishing for sea bream with a tenkara seems, believable. I am not so sure about the blog pictures. Maybe a bit of photography trickery, holding the fish close to the lens, made the fish appear larger than they actually were. The rod: シマノ 天平テンカラ LLS ３６ 竿 [ Shimano tenpyō tenkara LLS 36, I think. The sixth still photo in the ameblo.jp article appears to have the Tenkara rod at the same distance from the lens as the fish so the rod can be used for a reference measurement. That fish looks like it’s about 1.75x the length of the handle and the girth is easily the length of the handle, so that would be a pretty nice fish. Good point, You may be correct. I have found several blog post and videos wherein they were fishing for sea bream with tenkara rods. 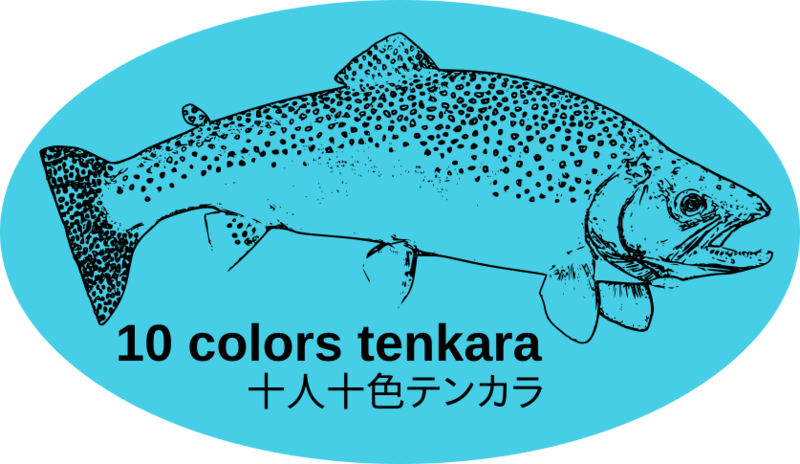 That in strict definition of what is tenkara. It would not be tenkara fishing, it would be sea bream fishing with a tenkara rod. Some people here get upset by people here doing similar things, as though it is not also done in Japan. A couple of crazy guys. I was rather impressed by their method of cooling down. At about 7:36 minutes. They take what appears to be a bottle of liquid nitrogen an pour it on their towels, perhaps tenugui. It would do the trick. I have some experience with the stuff at work, but just enough I was still kind of afraid of it. Not a substance to play around with unless you handle it often and know what you can get away with. I hadn’t watched the video. Pouring liquid nitrogen on a towel-tenugui while somebody is holding it? I used to charge fighter IR targeting sensors with LN2. It can cause some painful freeze burns.